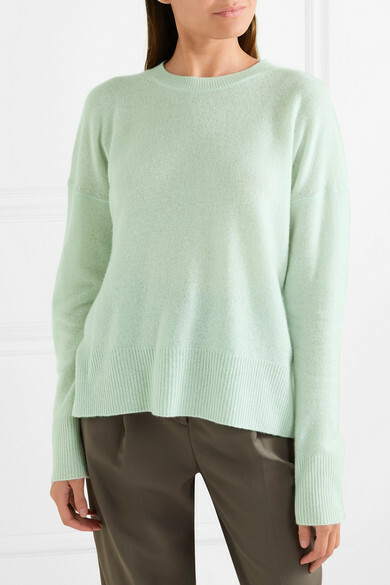 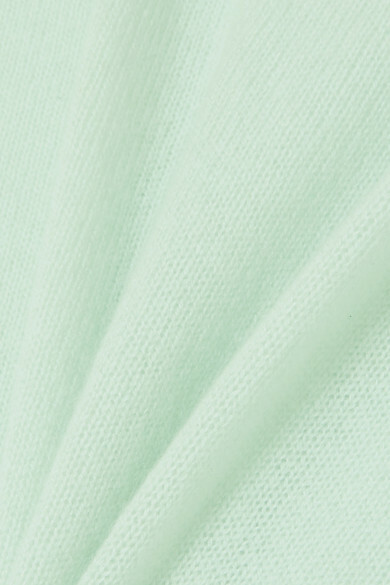 If the Spring '19 runways are anything to go by, green is set to take over as the color of the season, and Theory's mint sweater is a good place to start. 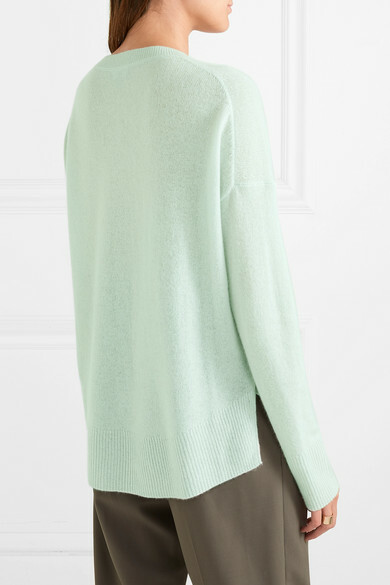 It's knitted from sumptuous cashmere and has side slits, so it sits neatly over high-rise pants and skirts. 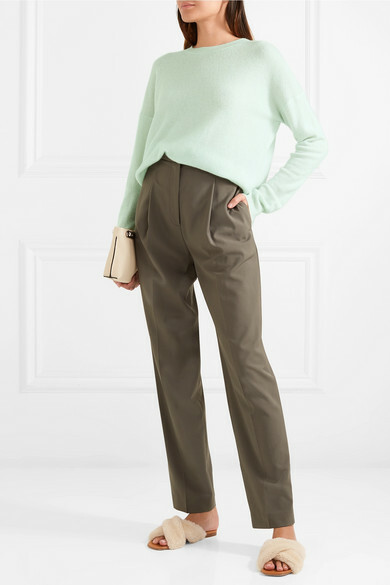 Shown here with: The Row Pants, Loewe Shoulder bag, Rosetta Getty Sandals, Jennifer Fisher Ring.